We’ll start with a simple definition, then move into the frequently asked questions regarding inurnment. This will cover every step of the actual process. Then we’ll consider related funeral terms to help you understand the lingo. Finally, we’ll close with some more information about urns, inurnment services, and inurnment at Arlington National Cemetery. Inurnment is the process of placing cremated remains (or “ashes”) into a cremation urn. Once the cremation process is complete, the ashes are placed into a container. This container is an urn, and the act of storing them in the container is inurnment. Additionally, inurnment can refer to placing the urn in the final resting place. This can be ground burial at a cemetery or placement in a columbarium niche. Inurnment can be done by the crematorium, funeral home, cemetery, or you can do it yourself. The crematorium always does the initial inurnment, typically into a temporary urn. If you purchased an urn through the funeral home or ordered one online ahead of time and brought it in, they will inurn the ashes for you into the permanent urn. Once the remains are in the temporary urn, the crematorium hands off the ashes to the funeral home or gives them directly to you. If you’ve ordered an urn online and are waiting for it to be made or delivered, you can ask the funeral home to hold on to the remains for you until you bring the new urn in to them. Some people prefer to keep their loved one’s remains close, so you may choose to pick up the remains right away then bring the ashes back when you have the urn in hand. The funeral home can transfer the ashes from the temporary urn into the permanent one. This, too, is inurnment. While it’s ideal to get the urn ahead of time, the funeral home will work with you to help you get the urn you want and then transfer the ashes once you have the permanent urn. The funeral home or cemetery will take care of placing the urn into the niche or burial plot. This is sometimes called inurnment. Lastly, you can inurn the ashes yourself. The remains will come from the crematorium in a sealed plastic bag inside of the plastic or cardboard temporary urn. You’ll simply open both the temporary and permanent urns and move the bag from one urn into the other. See below for some videos that explain how to open various types of urns and inurn the ashes. How do the ashes come from the funeral home? The ashes come from the funeral home or crematorium in a sealed plastic bag inside of a plastic or cardboard box. This box is called a “temporary urn,” but you can leave the remains in there and effectively make it into a permanent urn. If that is what you choose to do, the inurnment has already been done and you don’t need to do a thing. Most people, however, tend to want something a little nicer than the cheap plastic container. For those who plan to keep the ashes or inurn them in a niche, a good quality cremation urn is a great way to show honor and respect to your loved one. When you get the beautiful, permanent urn, you will need to inurn the ashes by transferring them from the temporary urn to the permanent urn. 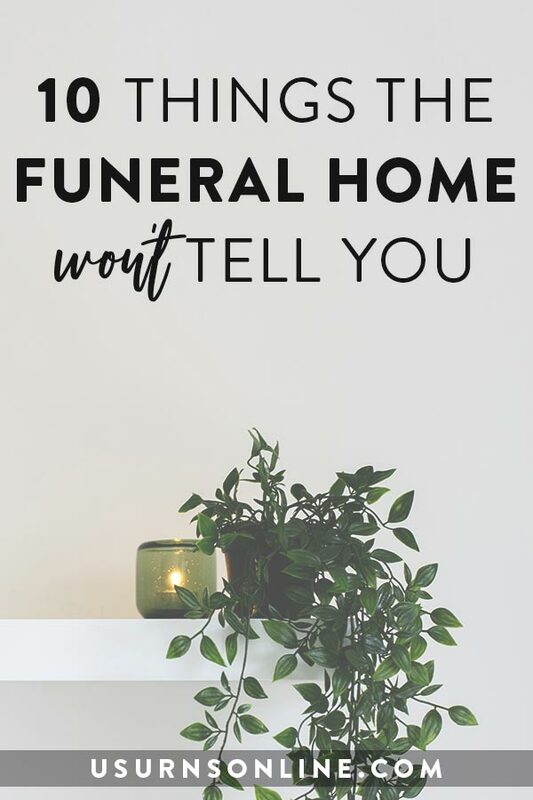 The funeral home staff will typically do this for you (even if the urn is purchased elsewhere), or you can do it yourself by opening each urn and moving the sealed plastic bag from one urn to the other. As long as you don’t mess with the bag, you won’t need to seal the urn. Just close it back up. Some people prefer to seal urns with a lid (metal, glass, or ceramic urns in vase shapes tend to have top-opening lids). We recommend a simple silicone caulk for a sealant. Silicone does a great job sealing the lid and if you ever need to open the urn it is fairly easy to remove. Rectangular box-shaped urns (wood, marble, granite, and some metal urns) typically open from the bottom, with screws that hold in the bottom panel or a stopper that unscrews. Vase-shaped urns (ceramic, glass, and most metal urns) open from the top, either with a screw-on lid or a simple lid that rests on top. Here are some videos that show how some various types of urns are opened. This video shows how to open a wooden urn. Most wood urns open from the bottom. Simply remove the screws from the bottom panel, place the plastic bag of remains inside, and re-attach the urn’s base. In this video, we show how most marble or granite urn vaults are opened and filled. These urns typically have a threaded stopper on the bottom to access the interior. Here is a video that demonstrates how to open and use our biodegradable scattering urn tubes. These urns are designed specifically to make the scattering of ashes go smoothly. Our glass cremation urns are hand-blown in a classic vase shape. The lid on top provides access to the inside of the urn. This video shows how to put the lid on and seal it after placing the remains inside. You can inurn the ashes into a glass (or, similarly, ceramic) urn by placing the entire bag inside or by pouring the remains directly into the urn. Here are some other common funeral terms that are related to inurnment. Interment is the burial of a body in a grave or tomb. Typically this is a full body burial, often accompanied by funeral rites. Sometimes people use interment and inurnment interchangeably. Interment is often used when referring to the burial of cremated remains. Disposition means to dispose of something. 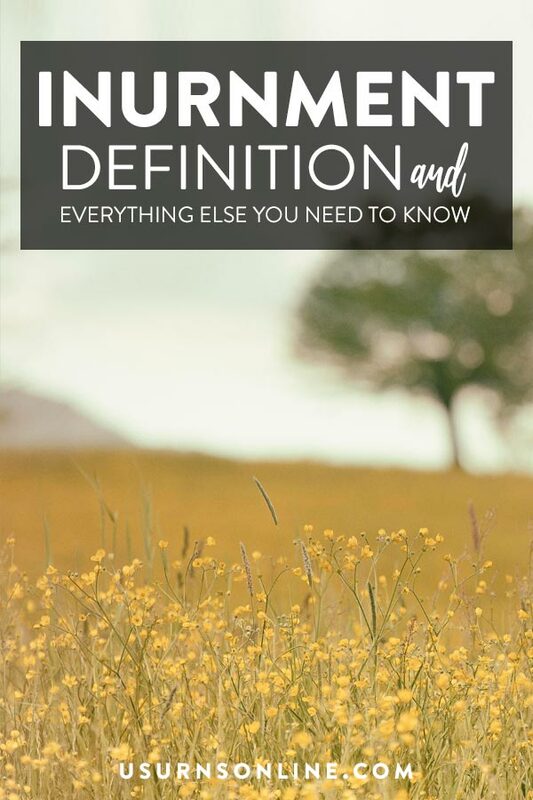 When talking about funeral plans, disposition refers to the body’s final resting place, specifically burial vs cremation. As a broad category, burial can mean ground burial in a casket or eco-friendly shroud, “natural” or “green” burial, entombment or placement in an above-ground mausoleum or crypt. By the same token, cremation can involve burying the ashes at the cemetery, scattering the ashes in the ocean or on private property, placing them in a niche, or keeping the remains at home in a beautiful cremation urn. Any of these options is a choice available to you for disposition. Entombment is the burial of a body in a mausoleum or grave. It typically refers to full-body disposition. A mausoleum is an above-ground structure or building with compartment (or crypts) for remains. While a mausoleum can hold or have sections for full-body entombment and/or cremated remains, generally speaking a mausoleum is for bodies while a columbarium is for cremated remains. A columbarium is a building or room with niches that hold cremated remains. This can be a part of the funeral home or church, a section of a mausoleum, or its own separate building. Some columbariums are fully enclosed, and others have niches in walls that are outdoors. A compartment in which an urn is placed above ground, typically in a columbarium. 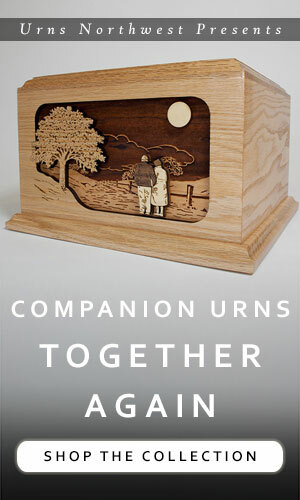 We offer a beautiful wood urn designed to fit one urn (or even two urns) into most columbarium niches. It was specifically sized to meet the requirements for inurnment at Arlington National Cemetery. You can see more details and purchase here. You have a broad selection of urns for inurnment available to you. From wood to glass, paper mache to marble, there are many types of materials used for cremation urns and thousands of options for style, color, and theme. If you are keeping the urn at home, the only limit is your imagination. 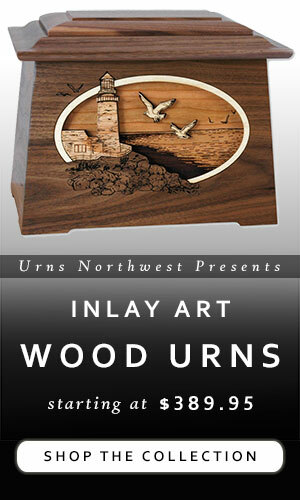 I’d recommend choosing something durable and well-crafted, like one of our urns at Urns Northwest. 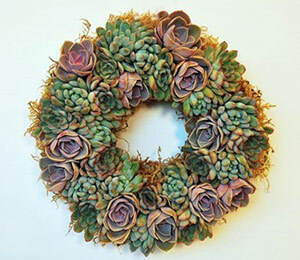 You can also make your own or select one from the funeral home or crematorium. Be careful when shopping for urns on Amazon or Etsy, as many of those are small urns designed for pets. Make sure it is a standard adult sized urn, with a capacity of about 200 cubic inches. 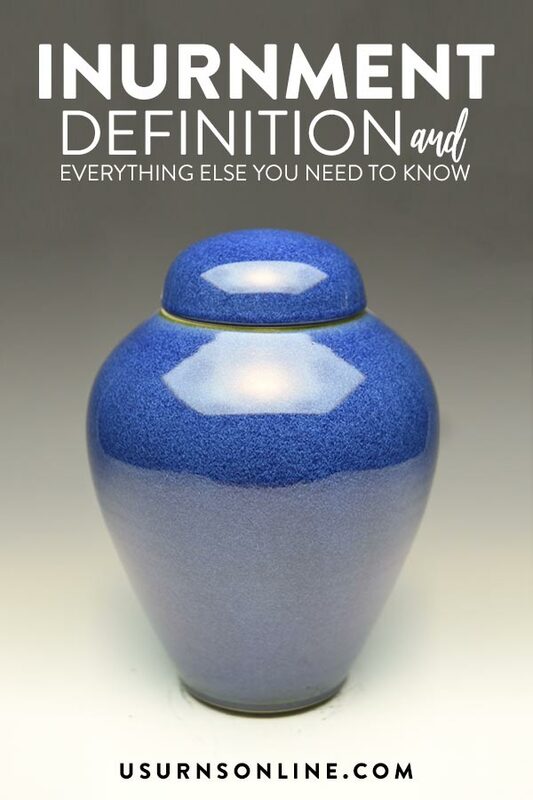 For more details about cremation urn capacities, see this article: What size urn should I get? Whatever urn you choose, you’ll want to make sure it will last. Also, consider where you are going to place it – keep the urn away from direct sunlight, as that tends to cause fading and discoloration over time. Of course you will want to keep it away from moisture, and make sure it is displayed in a way that it won’t be easily tipped over. Other than these basic precautions, choose something beautiful that represents your loved one. I’ve had many of our customers compliment our wooden urns, noting how appropriate it was for their loved one who loved the outdoors, enjoyed woodworking, and things like that. 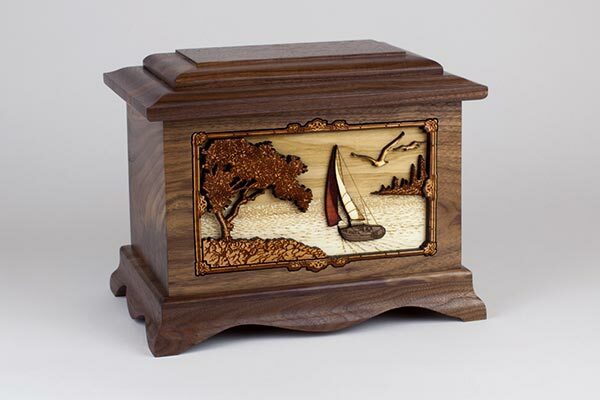 Others appreciate the delicate beauty of ceramic and glass urns, while still others find that our 3-dimensional wood inlay art scene urns perfectly capture their loved one’s spirit and passions. For ground burial, most cemeteries require a protective burial vault or a stone urn (which serves as its own burial vault). Burial vaults help maintain the cemetery grounds by ensuring that the earth doesn’t cave in around the urn. You’ll want to get the measurements for the inside of the vault and the outside of the urn to make sure that the urn will fit inside. For placing the urn in a columbarium niche, you will be limited by the available space. Niches vary in size (often depending on price – larger niches mean higher price tags), but a fairly typical size is 9″ tall, wide, and deep. The urn pictured above was designed specifically to fit into these niches. It can come with or without the military emblem, and can be engraved on the front as shown or on the side. The urn’s measurements are 8.5″ tall by 8.5″ wide and 4.25″ deep, which means that you can fit two urns side by side into a standard niche. It also comes in a 8.5″ cubed companion size to hold the remains of a husband and wife together in the urn within the niche. You can read more information about this niche urn and order it here. If your niche is larger than the small/standard 9″ size, you will have more options. When ordering an urn online to fit into a niche, be sure to comment on your order (or email) and note that it is going into a niche, and provide the niche dimensions. We always take great care to ensure that the urn is the appropriate dimensions. An inurnment service is a way to honor the decedent after their body has been cremated. In some ways it is the equivalent to a graveside service, but with ashes instead of a full-body burial. This can be a brief prayer and a goodbye, or it can be a big production with the extended family present and an entire committal service. The main thing is that it is a time to commemorate your loved one as they reach their final resting place. Depending on what the family chooses to do with the cremated remains there are several opportunities to do an inurnment service. Like a graveside service, the inurnment service is often separate from the funeral or memorial service. This would be a small, intimate occasion, with close family and friends present along with pastor or priest and someone from the funeral home staff. If you are religious, the clergy member will know what to do and say. You can also add your own comments, readings, prayers, or personal goodbyes. If you are not religious, you can prepare a few words or read a brief eulogy, or simply allow everyone a turn to say farewell to their loved one. 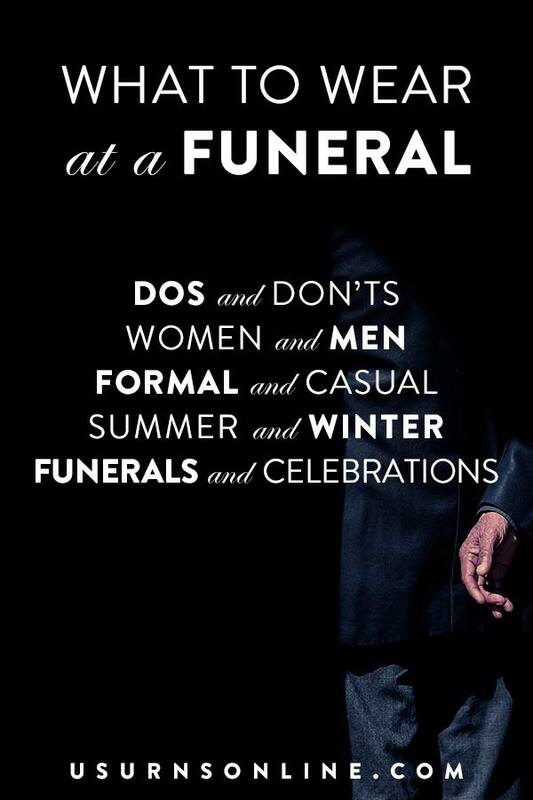 The funeral director can often help with how to add some dignity to the inurnment. Every family will not necessarily want an inurnment service. Sometimes you just bring the urn in to the funeral home, they take it in the back room and place the ashes inside, then hand it off to you to take home. That’s ok too. Many veterans (and their spouses) receive the honor of burial at the nation’s most famous cemetery, Arlington National Cemetery. Because so many people are buried or inurned there, they have fairly strict requirements for cremation urns. 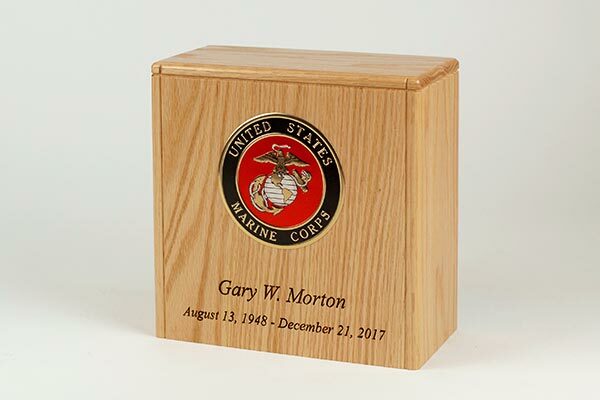 Their website states that “Urns should be no larger than 9x9x9 inches.” For this reason, our Premium Wood Cremation Urn Designed for Arlington Cemetery Niches is the perfect choice. At 8.5″ x 8.5″ x 4.5″, you can actually fit TWO urns into the standard niche. This will allow spouses to be inurned together in a niche at Arlington. Plus, as most military service veterans tend to appreciate, the solid wood urns are made right here in the USA.